With Joe Powell becoming Wallaby number 906 last week, it looks like the trend will continue this week. Phil Kite has been named on the bench for Tonga and will look to have a big impact if his number gets called. Phil played for the club in 2015 and again at the start of 2017. In his time with the club he proved himself to be quite the clubman. 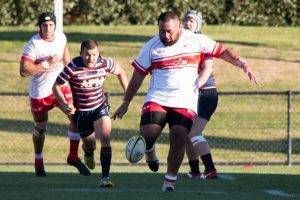 In 2017 alone he’s represented Norths’s in Brisbane, The Vikings, The Queensland Reds, Old Boys Marist in New Zealand and will now get the opportunity to don his 5th different playing strip as he gets the opportunity to play for Tonga against Wales.